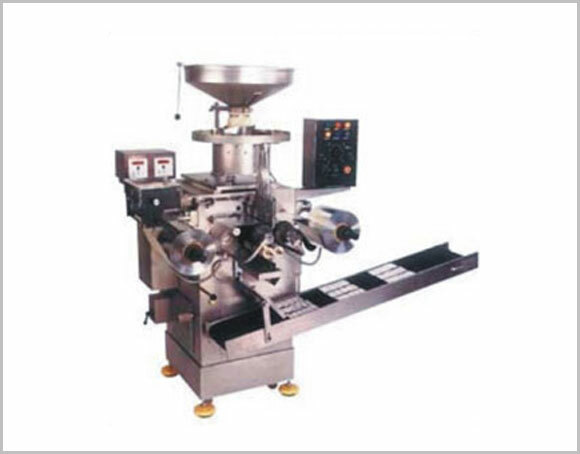 Strip Sealing Machine is built on advanced technology to fulfill the requirement in pharmaceutical packing industry.Strip Sealing Machine gives high speed and uninterrupted performance at low maintenance cost. They are ideal for high speed sealing of coated or uncoated tablets, capsules or lozenges of any shape or size in aluminium foil, polythene, cellophane or any other heat sealing material. Pharmaceutical Tablets, Hard gelatin capsules, Granules, Dragees, Powders etc. Also Sugar Cubes, Lozenges, Biscuits, Chewing Gums, Toffees, Buttons, Pins, Pencil Batteries, Small ball bearings and many other small components.